Guitar, being a popular instrument uses tablature to make reading music easily accessible. Strumuscript complements the user-friendly idea of tablature by providing a simple way of writing down guitar strumming patterns and is placed above standard tablature. Contains 40 pages of Strumuscript suitable for 4/4, 2/4, 3/4, 6/8 and 12/8 time signatures, also included is a 3 page tutorial. 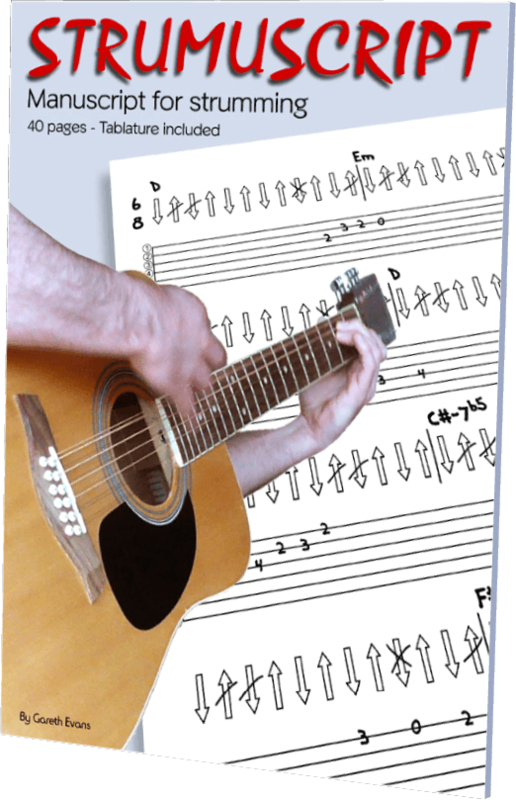 The clip below is an example strumming pattern from the tutorial.